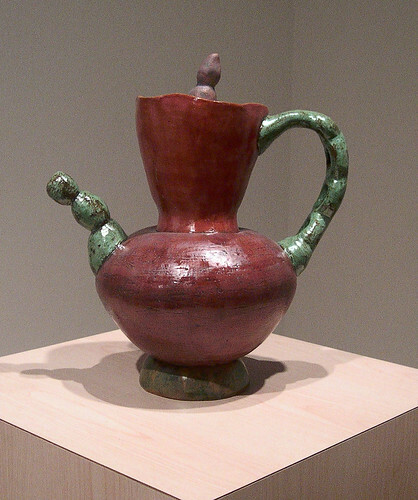 Home » Galleries » Past Shows » 2006-2007 » Kristin Wigley-Fleming Fine Arts Gallery, Center for the Arts » "Works In Clay"
Born in Cleveland, Ohio, JoAnn Schnabel now lives in Cedar Falls, Iowa, where she has been a Professor of Art at the University of Northern Iowa since 1990. 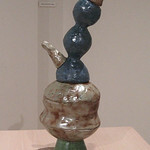 JoAnn attended New York State College of Ceramics, Alfred University (B.F.A. 1981) and Louisiana State University (M.F.A. 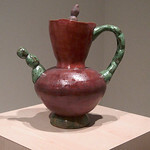 1986). 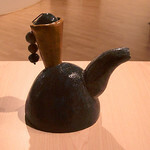 She believes in students learning the basic skills of different ways of working with clay and then being able to use those skills to pursue work that they are personally interested in, whether that is wheel-thrown functional artwork or hand-built sculptural ceramics. 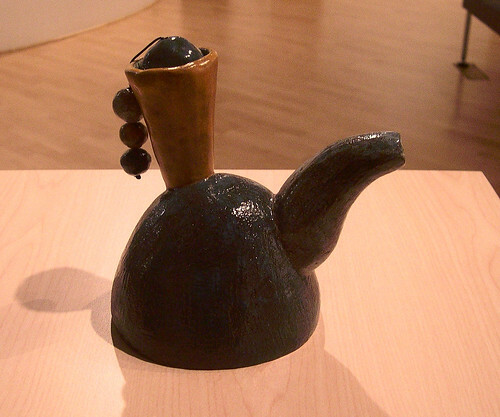 Schnabel's ceramic sculpture has been shown at museums and galleries throughout the United States. 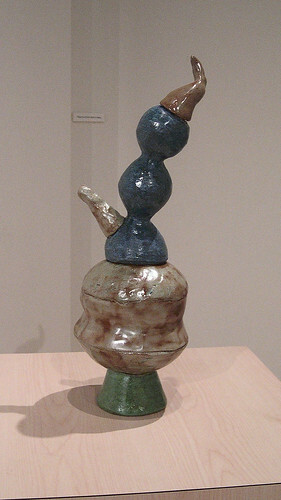 Recent exhibitions that have included her work have been held at The Society of Arts and Crafts in Boston, MA, The Armory Art Center, West Palm Beach, FL, and Lewis & Clark College, Portland, OR, which was held in conjunction with the National Council for Education in the Ceramic Arts 2006 Annual Conference.